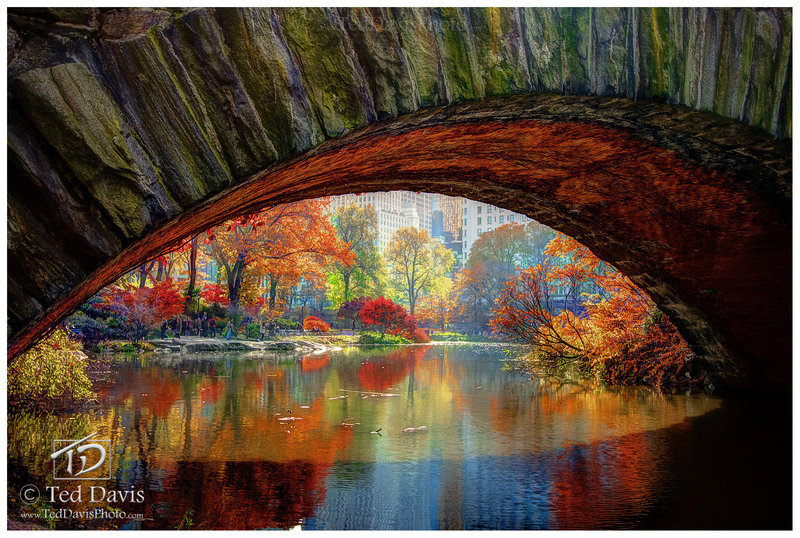 Looking beneath the Troll Bridge in New York City's Central Park - I wanted a different view during the fall with the color explosion in the park. But with a different view, came much more difficult lighting and I had to wait until mid-morning until I could click the shutter. The reds, oranges, greens and even browns are absolutely marvelous, and almost transports you away from the center of Manhattan.. Almost! Photo © copyright by Ted Davis.